Scott Gulbransen is Director of Social Business Strategy at tax giant H&R Block, and is the veteran of 13 tax seasons. Before H&R Block, Scott helped create the social media platforms at both Applebee’s and TurboTax. 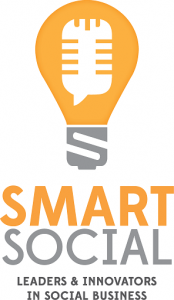 Scott recently joined Social: IRL Principal Ben Smith, and Expion VP of Strategy, Zena Weist, for Smart Social, an ongoing series of conversations with leaders and innovators in social business. During the conversation, Scott provided valuable insights on some key issues, including empowering employee advocacy, the “local social nugget”, aligning social initiatives with business strategy, marketing with the unexpected, and the role and responsibilities of the company’s social media department within the greater organizational structure. Part One: Scott discusses where the social media department is housed within the H&R Block organization, and the role the department plays in “leading and empowering,” rather than controlling social. Part Two: Scott discusses the “local social nugget” and explains how and why H&R Block are working to empower local offices to tap into the power of social communications. Part Three: Scott discusses employee advocates and explains why, even in a regulated industry, empowering employees to speak about your brand in the right way is not only powerful advocacy, but is actually safer for the brand. Part Four: Scott discusses the”Stache Act” – a marketing campaign that earned H&R Block a great deal of attention and acclaim. Scott explains that while the campaign was about having fun and playing on the unexpected, the key to its success revolved around “making a business case and having real business reasons for what you want to do” and ensuring social was aligned with the greater business strategy. Part Five: Scott answers the question, “During your time at H&R Block, what are you most proud of?” His answer is not what you might initially expect, shifting focus from the ‘Stache Act and other high profile successes, to strategy and team members. Part Six: We conclude the interview by focussing back on the “Smart Social” theme, and Scott explains what “smart social” means to him. 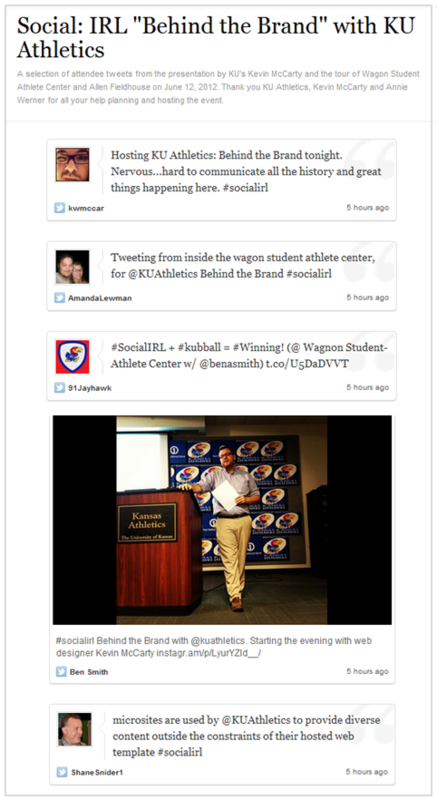 Guest post by Courtney Doman, Social Media Specialist at Social: IRL sponsor, Spredfast. Maybelline won two Shorty’s this year: Best Use of Video for the Top Chicret announcement of Charlotte Free as the face of Maybelline New York and Best Facebook Brand Presence for Maybelline New York India. I sat down with Charlotte Adjchavanich, Vice President of Digital at Maybelline to discuss the winning campaigns and Maybelline New York’s approach to social. Congrats on the big win(s)! How do you align social within a multinational company with so many product offerings? We set the guidelines for our brand presence and create and approve the assets to be used in global markets across all social media platforms at our Headquarters (known as the DMI which stands for Direction Marketing International) for Maybelline New York. We set the guidelines, the do’s and don’t’s, determine which types of imagery and posts are approved, so that we can create one consistent global brand image. For us, that global brand image is based on our DNA: Fashion. Education. Innovation. New York. We use those as our filters when developing social content. We have a social presence in 106+ countries that fall within regional zones (e.g. Eastern— Western— Central— Europe, Asia, Latin America, North America) and we rely on a mix of internal teams and agencies to maintain our global social presence. 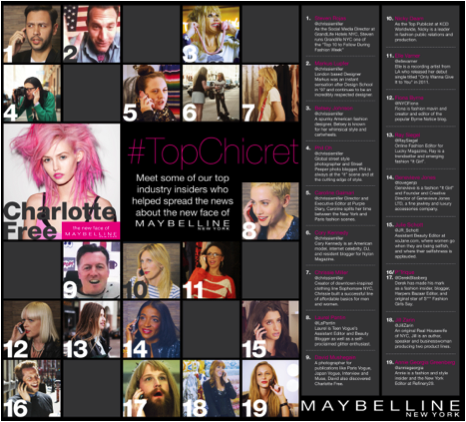 The #TopChicret campaign tapped Sh*t Fashion Girls Say’s P’Trique (and a score of influential fashion personalities) to announce the new face of Maybelline in a viral YouTube Video. How did you come up with this campaign? We’re really proud of the #TopChicret campaign and so honored to have won a Shorty Award. ICED Media is a great partner to us and this concept was genius. A major theme for Maybelline is “Catwalk to Sidewalk”—taking fashion and making it translatable to the consumer. When we decided that we wanted to use an influencer to help us reveal Charlotte Free as our new face, ICED came to us and said: What about P’Trique? And in terms of our filter, he really checked every box. Fashion? Check. Education? OK, there is a reveal, so you’re going to learn something. Innovation? Well, that’s using a meme. New York? The video was shot in New York and we used a lot of New York-based Influencers. I fell in love with the idea. It was definitely daring, which is something we strive to embody as a brand—not just in product innovation but advertising as well, Maybelline was the first to be talked about on radio, one of the first brands to use recognizable models—so it made sense for us to push boundaries with video in a digital campaign. The #TopChicret video was a big success and your YouTube Channel is full of great content, what role does video play in your social efforts? Video is very important to us. It is definitely an area of investment, focus, and priority. We centralize video production at the DMI to create consistent, high quality videos in line with our DNA so that we don’t dilute the brand. Tutorial videos are major. Nail is the leading beauty product trend right now and by May we will have shot 43 how-to videos for our Color Show Nail Line. We’ll also often receive director’s cut assets from other advertising platforms that we distribute digitally to provide an extended or behind the scenes look at the brand. What Goals are you trying to achieve on Social? We’re focused on education and engagement. We’re using innovative technology and great content as two key drivers to achieve these goals. Who makes up your social community? 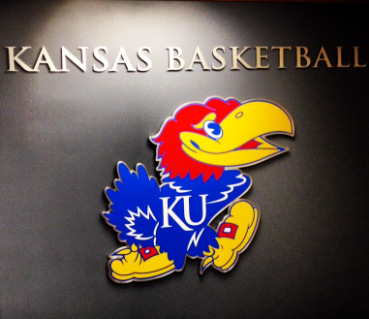 How do you encourage fan engagement? We prompt lightweight engagement and reaction with open-ended questions or either/or questions (“Which shade of lipstick do you prefer?”) and, of course, we respond to customer inquiries (“Where can I find this eyeliner?”). We also create opportunities for deeper engagement, such as soliciting User Generated Content in our activations for new products to build buzz. We definitely are not a one-way communication brand. How do you see social evolving for consumer brands in the next year? The focus will be fewer, bigger, better. And beyond that, it will be about integrating social and digital more fully in the marketing mix to create a 360 approach, no matter where or how the consumer wants to interact with us. We’re actually beginning to incorporate augmented reality experiences into in-store displays so that you can instantly access and stream content from your smartphone. It’s about eliminating disconnects. No dead ends. I loved learning more about Maybelline New York’s daring and innovative approach to social. There is no doubt in my mind that these were two Shortys well earned.